Click on “Business Integrations”, select the LeadsBridge app and then press the “remove” button. 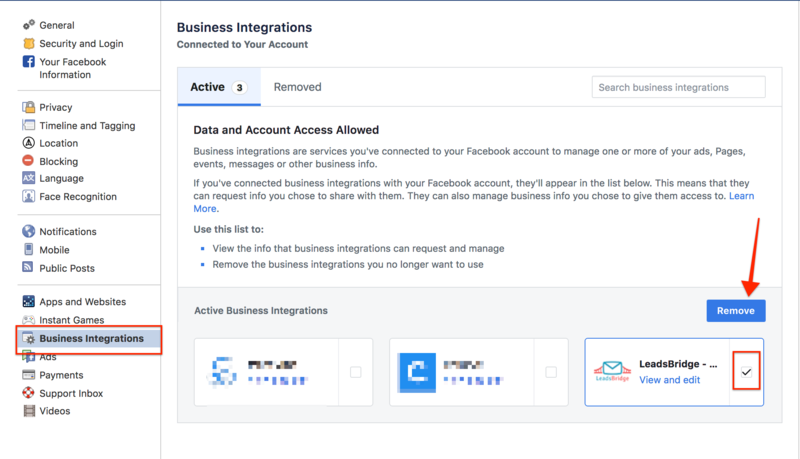 Go to your integration page and delete the integration you want. If your CRM has been connected with an API key, please go to your CRM API key settings logging in your CRM account and delete/regenerate your API key. If you cannot find the API key settings, please contact your CRM support to disconnect the app.